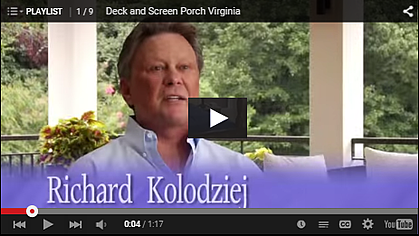 A Bethesda homeowner describes her experience working with Design Builders to create her upscale screened-in porch and Zuri deck in Bethesda, Maryland. 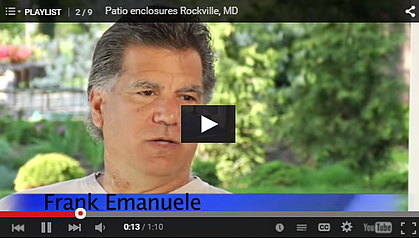 A homeowner living off of Manor Country Club in Rockville describes his experience working with Design Builders, a local deck contractor in Montgomery County, to create his hot tub deck using AZEK decking and a unique pavilion. 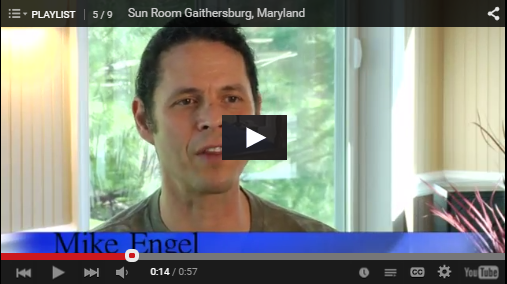 Rockville homeowner Mike Engel describes his satisfaction in working with Design Builders and the benefits of using an experienced contractor to build his three-seasons sunroom. 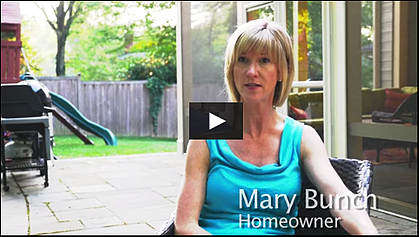 Mary Bunch details her beautiful patio enclosure and screened porch in Montgomery County, Maryland. 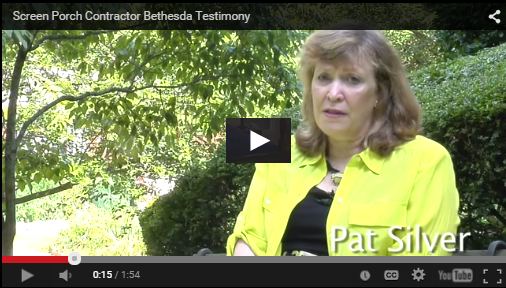 She recalls her experience working with Design Builders, the premier screened porch contractor in Maryland, as positive. Design Builders, Inc. transformed this homeowner's histroic Carderock Springs home into a showcase for sun and custom-designed sitting spaces. 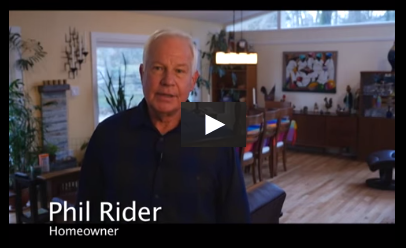 Listen to how this trusted design build contractor successfully met strict codes to build this home addition. A master bedroom and his-and-hers master bathroom built where there previously was no second story. The new rooms include a Brazilian rosewood floored-bedroom, two walk-in closets, and a customized tray ceiling. This high-end screned enclosure in NOVA has all of the amenities you'd expect an inside room to have, including a full climate control system in the form of designer fans and Infratech infrared heaters. This high-end screned enclosure in NOVA has all of the amenities you'd expect an inside room to have, including a full climate control system. 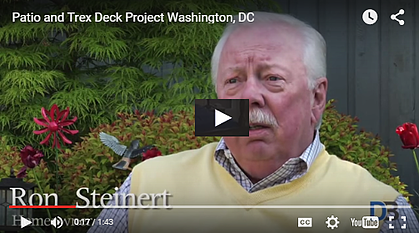 Custom Patio and Deck Design Contractor in Washington, D.C.
Two proud parents renovate their daughter's now-vacant college apartment of five years and breathe life into it with a new deck and patio project. 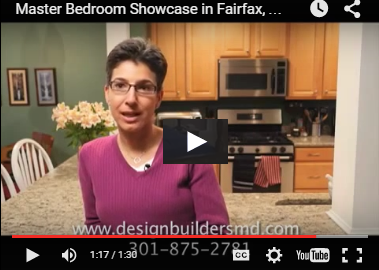 Searching for the right deck contractor in Maryland or Virginia can have its payoffs. 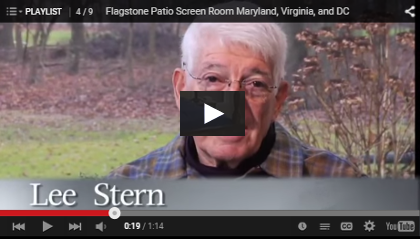 This Baltimore-Washington area homeowner contracted Design Builders to create this one-of-a-kind flagstone patio and screened porch addition in the DMV. "Design Builders designed and installed a very beautiful porch addition to our home. We splurged on upgrades like sconce lights, a cedar wood ceiling with painted beams, a cedar wall, and Azek flooring that looks like redwood. These did add to the bottom line but we're extremely pleased with the results, and find that we are using the new addition for every dinner except on the hottest nights. It's fantastic." "James Moylan and his team are skilled and knowledgeable and understand well that the customer comes first. I chose Design Builders over two other contractors because James listened more carefully than the others to both our hopes and fears, and specifically addressed each and every one in the design and throughout the construction. He and his workers were courteous, cleaned up the worksite every day, and most importantly, did a top quality job on every aspect of the work. Yes, there were small glitches along the way, but James maintained very close communication with me throughout and took every step possible to keep me a fully informed and satisfied customer. I highly recommend his company and would not hesitate to work with them again." "From beginning to end, Design Builders provided outstanding communications. They were trustworthy, arrived on time, and always followed through on their commitments. Most importantly, their finished product more than fulfilled my dreams. The design, quality, and craftsmanship of my screened porch exceeds my expectations. I am extremely pleased and would wholeheartedly recommend them." "The sales, design and pricing process was simple , straight forward, customer friendly and flexible to our need. The administration, service, installation and follow through was professional, I would highly recommend Design Builders. " "Thorough advance description of the project; detailed estimate; excellent workmanship; meticulous attention to detail; sensitivity to good design; start and completion on schedule. I got all that for a reasonable price. Great value. My project was a 175 sq.ft. deck raised 8 feet above ground. I interviewed five contractors. What influenced most my selection was that the owner, James Moylan, told me that he works hands-on throughout the construction of the project. He built my beautiful new deck with the assistance of only one helper, in 4 days, as promised. 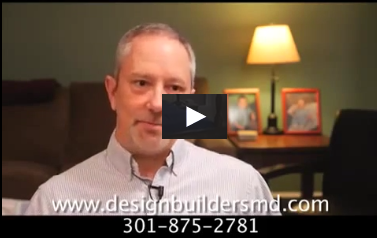 I recommend the professionalism of Design Builders Inc. without hesitation."